What Are The Best Termites Control Methods? Termite’s infestation in your home may take long before detection, unless you undertake an inspection all round your home. If you are careful and observant, you may notice winged termites hovering around your home or damaged structures while performing/ moving around your home. This is the only sure way to notice termite’s infestation. There are many different types of termites across the globe. 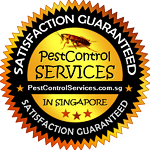 According to Singapore pest management and control institution, the most common types include damp-wood, Formosan and subterranean, but the damp-wood termite is responsible for many health risk and structural damage. What are the dangerous effect of termite's infestation? Termites cause big dangerous to wooden structures and are often responsible for their collapse. Termite walk in colonies and once infest your house may cause massive damage within short period. These insects chew up certain sections of the house creating hollow cavities that eventually result into structure collapse. In Singapore, most wooden structures which have collapsed, termite’s infestation has been linked to the damage. In addition, upon infestation on structures, termites destroy the original texture and look of these structures. This decreases the beauty of your building and increases the operating cost in performing these repairs by painting or redecorating. Termites spreads dangerous species of molds that causes serious health ailments including chronic fatigue, mycotoxins toxicity and fungal infections among other problems. Prolonged exposure to high amount of noxious mycotoxins might cause neurological problems, an in severe condition death. In addition, some mold species can cause cancerous cells in different parts of the body. Mold spores exposure in air worsen existing respiratory condition such as asthma and allergies. Molds live preferably in damp wood & dark surroundings. These insects grows on moist wood surfaces, and upon termites disturbance which happens immediately after they have begun feeding, they disperse spores. These spores spread through ventilation systems/ via small opening or cracks. Upon spore spreading, various healthy rated ailments are spread faster and easily. Therefore, always ensure your house surfaces are dry and proper ventilation is installed in your home. This the oldest termite removal method that has been proven effective and reliable. The method involves creating an air seal about the structure, adding in poisonous pesticides gases and allowing it to stand for few days. Although, the method is effective, termite’s advisable to employ an experienced pest control officer to help in tenting the building. Pesticides are harmful and fatal to pets, the expert shall place vents and fans around the home to ensure the pesticides are evenly distributed. More so, high concentration of pesticides might cause chocking, allergens in humans among other effects. Boric acid can be effectively used in wood treatment to avoid termite’s destruction. The product is directly used to treat woods and has low toxicity among humans but extreme toxic to termites. The pesticide can be spread/sprayed on the wood upon dilution. The product has been found effective giving out lasting results upon use. Thou, this treatment method is effective and safe, its only applicable in wooden beams/other wooden structures, and should be used on building undergoing construction. Therefore, this product isn’t effect in building already infested with termites but rather prevents and controls future termites attach on building. The method involves baiting termites on different bait stations about the property. Usually there is nothing attracting/luring termites into these stations, a bait is basically a portion of wood buried on the ground. During the termite’s normal foraging operation, they will spot this wood, cluster around as they feed on it. During inspection, the termite’s infestation will be noticed and the wood is substituted with a cellulose matrix preserved/treated using termiticide. Upon feeding on this wood, the termites carry with them termiticide back to the colony. This chemical massively kills other termites via normal contact with each other. The process continues until all the termites in the colony dies & no more infestation is detected. After complete termite eradication, the cellulose matrix is substituted by wood & checking the bait station’s) commences again. Termite baiting is a slow and sure process of termite’s eradication. The method has gained popularity as it captures various aspects, treatments, repellents & termiticide. The product a barrier treatment that termites never repel and a termiticide that they shall hardly develop a whiff of. The insects will freely forage via the treated area, and carry along the termiticide to the colony. 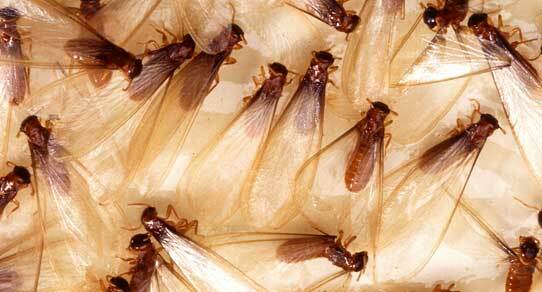 Upon interaction with other termites, the colony becomes infested with termiticide and eventually dies. The pesticide is effective in low concentration and results in massive, rapid death upon termite encounter. Therefore, the product is considered environment friendly as less amounts is required to cause termites death. Chemical barrier treatment. The methods works by establishing a barrier around the building to curtain termite’s movement. Upon inhalation/ physical encounter with the surface with which the chemical is spread/ spayed the termites becomes unconscious and with time die. In addition, the chemical might work to chock the insect and avoid movement and upon starving the insect dies. Thou, the method is effective to some extent, the capacity of termites killed is minimal. In addition, some chemicals used lack the capability to bond suitably with soil and this causes the chemical to leach. More so, many chemicals don’t bear up suitably with time & break down faster, and thus less effective for longer period. using any of the above method, you will be able to effectively control termites in your home. however, the suitability of any given method highly depends on the specified parameters. Most of the termite’s treatment methods involves application of chemicals. Often, most individuals disregard the use of these methods since they fear chemical toxicity. However, if proper care and guidelines as outlined are properly followed, less harmful effects would be realized upon use. In addition, employing a licensed pest control expert is advised when using any termite’s treatment method. Thou termites may cause hardly any negative side effect on individual, they might damage structures, resulting in building collapse and deaths. In addition, regular repairs adds on the expenses and cuts on the profits/ savings. Need help in Termites Control?